Here at Electrical Connection, we offer a huge range of services for all different kinds of electrical components in your home. We wanted to help our customers be safer during thunderstorms, so we complied a list of safety tips. Check out our short list of things that you can do during a thunderstorm to protect your home. Get somewhere safe – If you’re outside, you should go indoors where you can protect yourself elements like from wind, hail, lightning, and rain. Secure doors and windows – Make sure that your doors and windows are secure so that they won’t blow open during heavy wind or let rain or hail into your home. Don’t go near fixtures – Sinks, faucets, bathtubs and showers should be avoided because their metal handles can conduct electricity. Avoid LAN lines – If your home has a LAN line try not to use it during an electrical storm as the phone and the cord can conduct electricity as well. Keep pets inside – If you have animals living in your home take steps to keep them from getting outside. Unplug devices – Make sure that your major appliances aren’t plugged in. If electricity strikes your home or the electrical grid near your home, it can fry your appliances like refrigerator, television, computer and others. Install a whole house surge protector – Another way to prevent damage to your home’s refrigerator, air conditioning system, and electronics is to install a surge protector that is designed to protect your entire home, without needing to plug each device into a individual power strip. Install a backup generator – An automatic standby generator can ensure that your home is never left in the dark. During a thunderstorm, you will be able to keep essential parts of your home, like the heating system, up and running until the power comes back on. 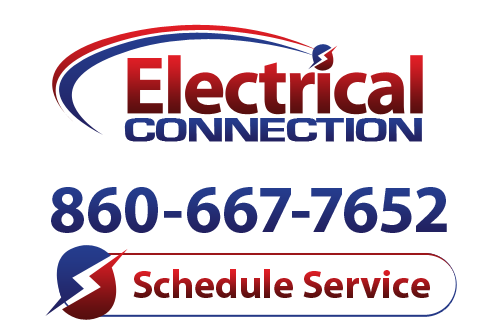 For all your Hartford electrical needs, just call Electrical Connection. We have years of experience working with a huge range of residential and commercial electrical systems.